Through this article, the tattoos of model Misa Campo will be put under the scanner. The two tattoos which she has will be spoken about here. The first ever black supermodel that was featured in French and British Vogue at 18. She has a tattoo on her left hand. To know more details about it, click here. Frankie Ryder is a very talented and celebrated model with an amazing portfolio. She sports a small tattoo on her lower back. Tyler Riggs is a successful model as well as a musically oriented artist and actor. He sports two tattoos one is a picture and the other a musical tattoo. Lisa Faulkner is a very good Hollywood actress, with lots of talent inside. She has got a tattoo of flower on her body and also her body is well shaped like that of a model. one of the most beautiful, hot looking women in the world. Isabel started her journey as a model. She has got many tattoos in her body and is very well designed. 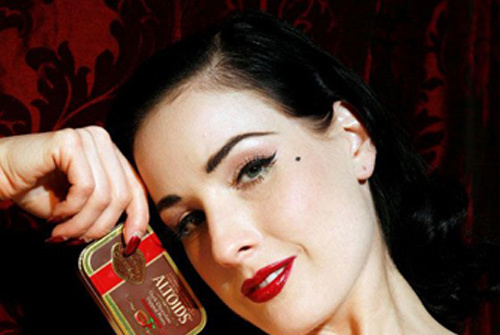 Dita Von Teese, the individual who was responsible for re-popularizing Burlesque dance performances loves tattoos and she even has one on her upper left cheek bone, a beauty mark. Elina Ivanova, an American model who is quite bold in her statement has three prominent tattoos on her body. Joey Kirchner is a young and beautiful model. He has risen like a phoenix in the competitive modelling industry. He sports two tattoos one on his chest and the other on his arm.